The light pink rim hints at a classic Burgundian-style Pinot Noir. 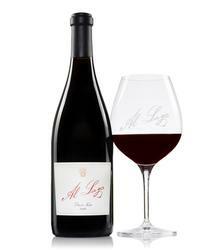 The nose offers fresh-picked bing cherries and ripe strawberry notes with an undertone of turned soil and mushrooms. This wine is fresh and leads into racy acidity. It is well-balanced and complex.